As summer makes its exit, there’s plenty of excitement to look forward to during the fall season in the Smoky Mountains. 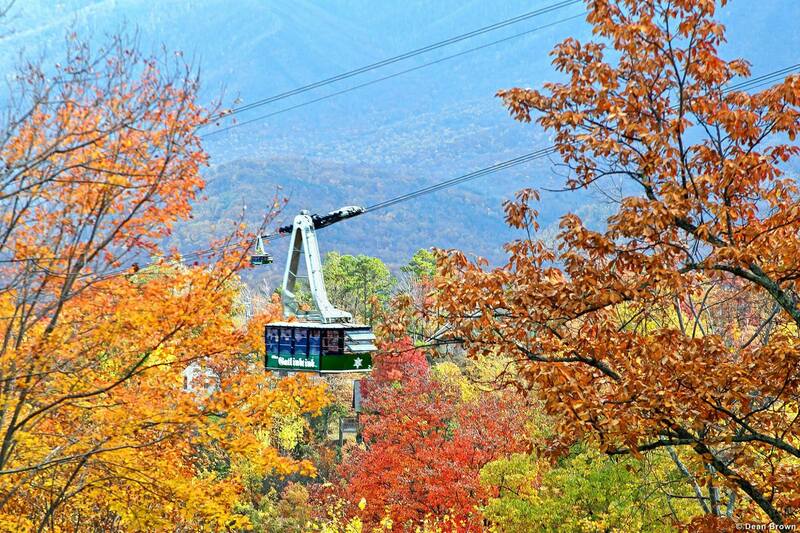 While the changing of the leaves creates a stunning visual environment of color drawing thousands of visitors each year, the Smoky Mountains also has a vibrant agenda of entertainment and attractions in store for all ages. For visitors planning a trip to the Smokies, get a head start on where to go to see the most stunning views of the leaves changing with our Viewing the Fall Colors in 2017 guide. Whether atop a mountain, driving a scenic route, hiking within the Great Smoky Mountains National Park, making the trek to Clingmans Dome, or exploring off the beaten track highways and byways, there are plenty of colorful sights around every turn. Gatlinburg’s Smoky Mountain Harvest Festival has a variety of entertainment lined up from September through the end of October making it easy to plan a weekend getaway, or longer, to suit any schedule. The fun gets started with Oktoberfest at Ober Gatlinburg in September with the 8th annual festival running through October 29. Since it’s an Oktoberfest celebration the focus is on traditional and innovative German food and inspired refreshments at the Bier Garten where there will be an assortment of breweries represented. Great food and brews are just one part of the festival. For fun for all ages, enjoy Ober Gatlinburg’s many attractions such as the Scenic Chairlift (another way to see the changing of the leaves), a heart-rousing ride on the Ski Mountain Coaster, or showing off skating skills at the Ice Skating Rink. Everyone will get a kick out of the Amaze’n Maze, teeing off with Mini-Golf, or taking on the games at the arcade. Sugarlands Mountain Fest provides foot-moving music September 28-October 1. Relax with refreshments and an eclectic social vibe at this 4-day music fest featuring a variety of headliner bands bringing their sound to downtown Gatlinburg at the popular Sugarlands Distilling Company, known for the good music performers it consistently brings to town. Ripley’s Fright Nights Show takes fear to another level of scary from September 30-October 31 when visitors are bombarded by infected zombies and the frightful and insane Dr. Streaper. At 6 p.m. on Friday, Saturday, or Sunday evening, get cozy at the Contamination! show where the doctor and his band of zombies and ghouls set out to infect everyone with a mutant virus. This show is better suited to children ages 12 and over. Children under 6 years old are not permitted. It’s that scary! Visitors get a feel for the mountains, the Tennessee culture, and its residents at the Annual Fall Craftmen’s Fair. From October 5-October 22, craftspeople from around the area and the United States show off their creative talent at the 42nd celebration of the fair. Watch hands-on demonstrations, ask questions, and purchase a souvenir or keepsake from more than 180 choices in handmade items. The fair opens at 10 a.m. daily with free bluegrass and country music performances setting the musical tone each day at 12 pm, 2 pm, and 4 pm. What is a visit to the Smokies unless there’s time planned to have fun and celebrate the fall at the Dollywood Holiday Harvest? Scheduled from September 29-October 28, the theme park is ablaze with color with the Great Pumpkin LumiNights featuring scenic tableaus and creative sculptures. Free concerts featuring Southern Gospel and an array of visiting artisans with handmade crafts on display make this an all-in-one fall celebration location. This year, make a plan to visit the Great Smoky Mountains while they’re broadcasting live in full natural color. And for the best way to stay in the mountains, call us at 855-91-SMOKY anytime and check out our Gatlinburg cabin rentals, and our Pigeon Forge cabins.